Liverpool creative agency Uniform has been nominated for a prestigious Designs of the Year award, held by the Design Museum. The awards, considered by many to be the 'Oscars' of the design world, showcase the most innovative and progressive designs in the world across digital, architecture, fashion and other categories. The agency will see its Postcard Player – first shown at SXSW in Austin, Texas last March – exhibited for four months in London. The Postcard Player is a prototype that demonstrates how paper electronics could allow people to experience and interact with digital music in a more engaging way. Thomas said the Postcard Player was inspired by the way physical interactions can enrich engagement with digital media. 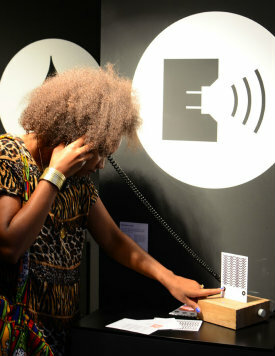 The Postcard Player has also featured at the London Design Festival. Explaining how it works, Thomas added: “People can put a postcard into the player and press printed buttons on it to hear a piece of music. Uniform’s Postcard Player will feature at the Museum’s exhibition from March 20 to July 7. A decision on the winners will be announced on April 17.